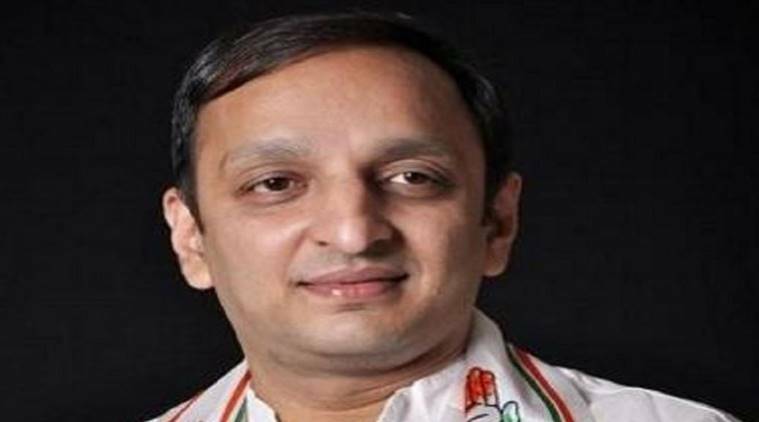 In an interview to The Indian Express, Congress state spokesperson Sachin Sawant says BJP should answer Sena chief’s questions on the Ayodhya issue. But, he said, the Congress was concerned about issues like farmers’ welfare and development. What is the Congress’ reaction to Shiv Sena chief’s plan of visiting Ayodhya? At the rally, Shiv Sena chief Uddhav Thackeray said he would be going to Ayodhya to raise some tough questions. It is clear that he wants answers from the BJP. We don’t have anything to do with it. The BJP should answer the questions raised by the Sena. This is because the Sena chief has clearly said that he wants to throw posers at the BJP. Is the Sena trying to corner the BJP? We don’t know what they are up to. Whether it is a bid to corner BJP or not. It may be a pressure tactis… If the Sena intends to raise tough questions, it can do so in the Cabinet meetings. How do you think the Sena will benefit by raising the temple issue? How will Uddhav Thackeray’s visit help Sena in Maharashtra or elsewhere we have no clue. Or, whether the Sena will gain in Uttar Pradesh, where it hardly has any presence. For us, BJP and Shiv Sena are two sides of the same coin. For us development agenda is important. What matters most for us is the plight of farmers. We will keep raising public issues. The Sena has been talking a lot in favour of Congress and Rahul Gandhi of late and criticising the BJP. Is there any chance the Congress-led front will take Sena on board in Maharashtra? We believe after making all the anti-BJP noises, the Sena will tie up with BJP and fight the elections unitedly. We don’t see Sena as a part of the Congress-led alliance in Maharashtra. An NCP leader has said the MNS should be part of the Congress-led alliance in Maharashtra. No, there is no such move to take MNS along because of the kind of politics it practises. These parties do not fit into Congress ideology of taking everyone along.